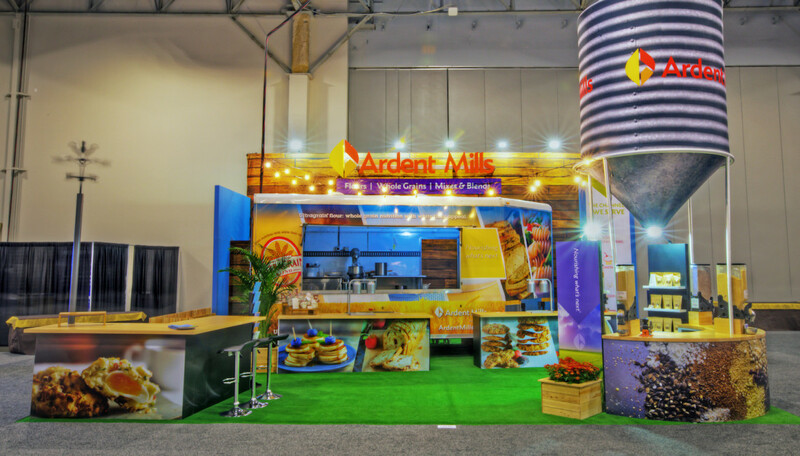 A first-time client, Ardent Mills, sought to incorporate its existing trailer into a new, outdoor-themed 30x30 trade show display. 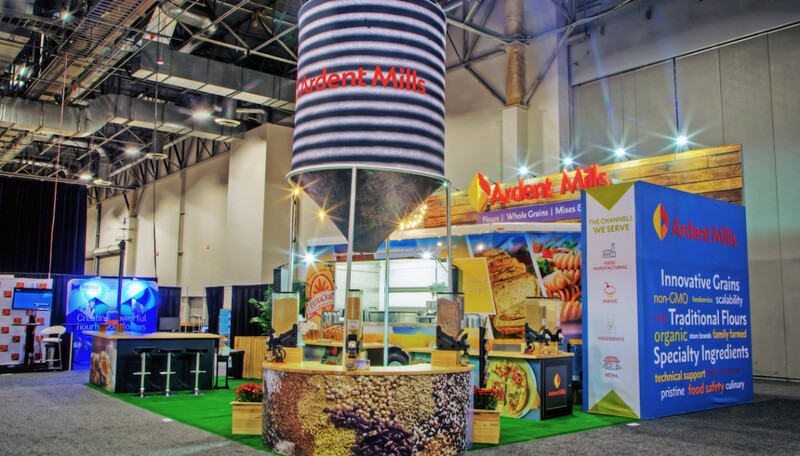 As a brand with humble beginnings, Ardent Mills desired to have an exhibit that was engaging, but also not over-the-top. It needed to combine humble and simplistic elements in a fun way to enhance the brand's messaging. The finished design mimicked an outdoor setting, making it not only unique but also relevant to Ardent Mills' brand story. The exhibit's central focus was its trailer, where chefs would create and serve sample foods made with the brand's milled ingredients. A tall silo stood at the forefront of the space, drawing attendees to the exhibit while also providing a clear message of the brand's products and capabilities.